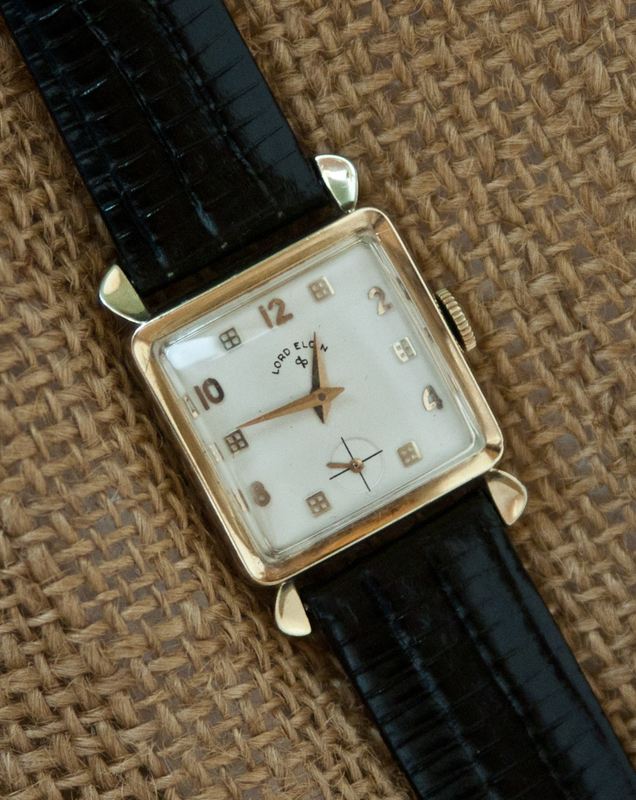 A distinctive 1950 Lord Elgin with a unique dial design and lug shape. 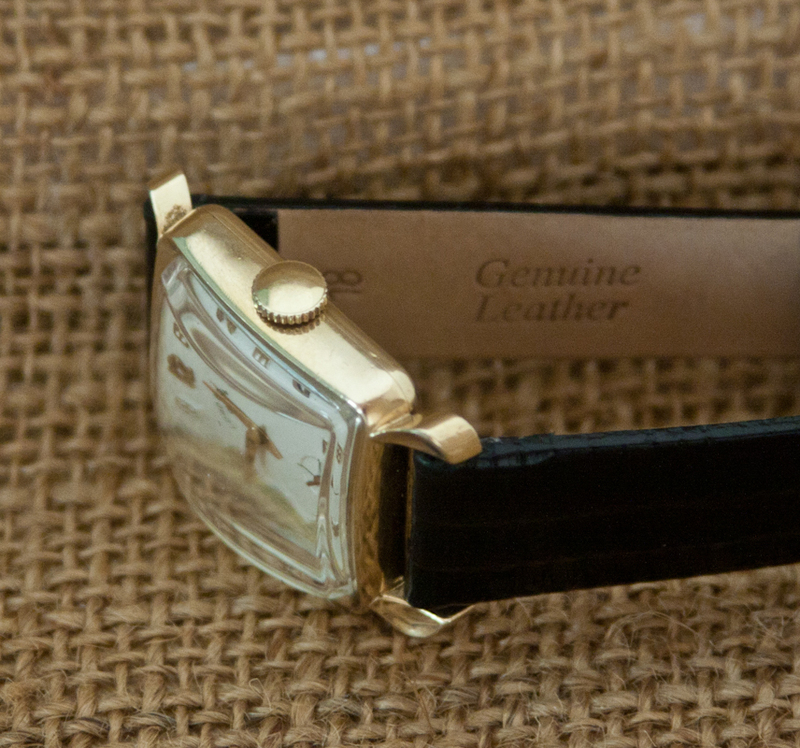 It has a 14K gold filled case and a 21 jewel movement. 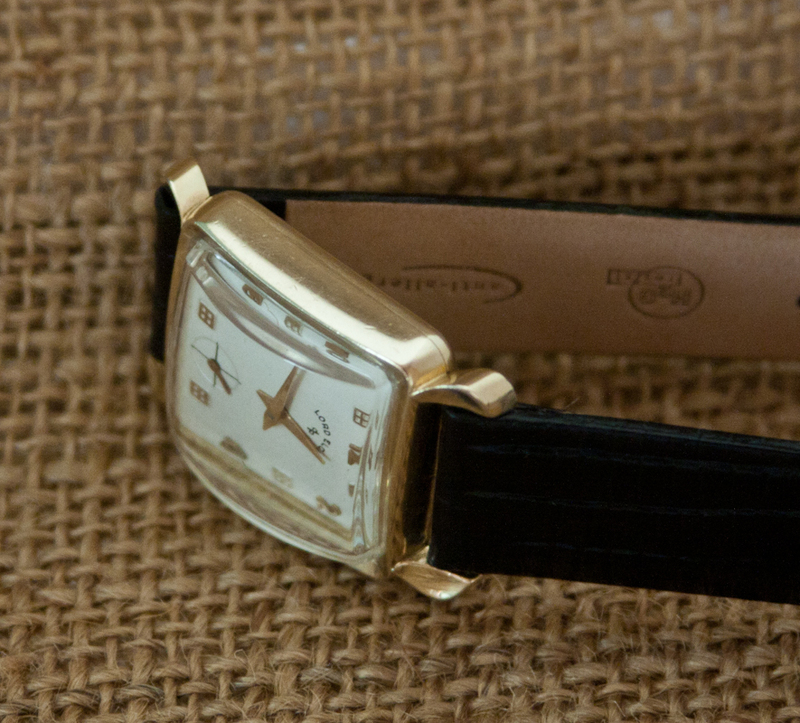 This distinctive 1950 Lord Elgin has a unique dial design and lug shape. The cream colored dial has applied gold numerals for the even numbers and unusual squared cross patterns for the odd numbers. 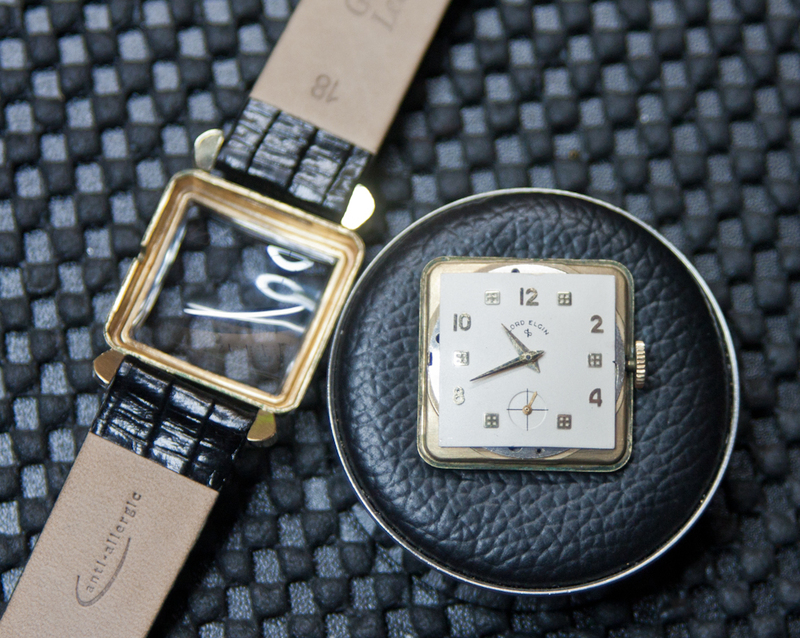 The lugs on this watch are large and rounded, giving the visual impression that they run behind the strap (they do not, as you can see in the photos). It’s a unique design. The square Wadsworth case is 14K gold filled and signed Elgin. The case is in Excellent condition with no signs of brassing or wear through. The dial was professionally refinished to the original design standards by International Dial and is perfect. The gold toned dagger hands are without rust. The crystal is a new plastic replacement crystal and is without scratches or distortions. 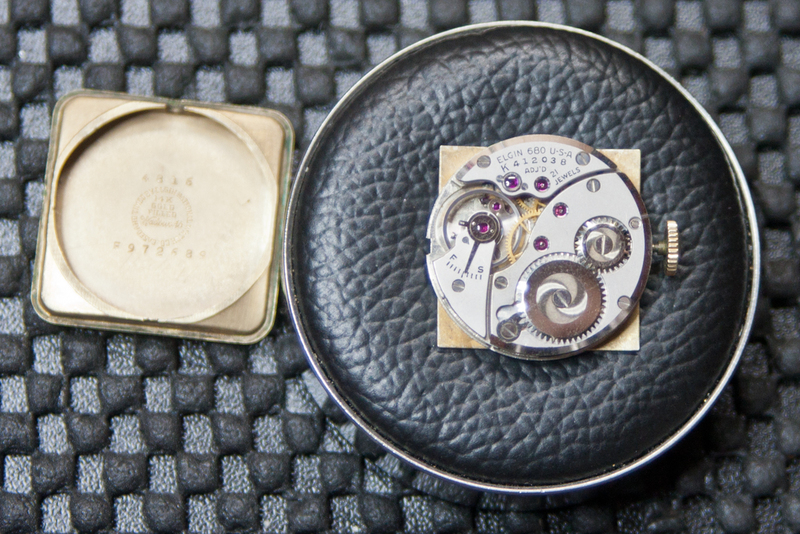 The watch is powered by Elgin’s 21 jewel calibre 680 movement. 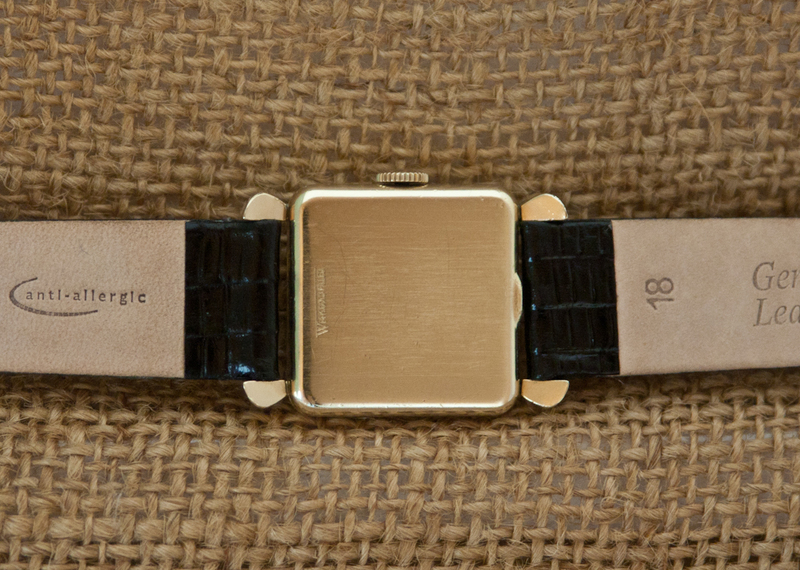 The band on this watch is a new high quality leather band, waterproof and hypoallergenic. It’s ready to wear.